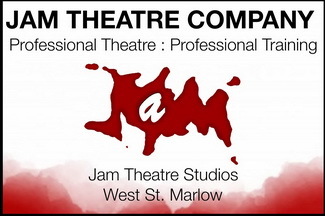 Marlow has plenty of places to eat, as shown in the listing below. We have given our personal views in each case. 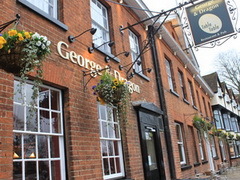 A brilliant restaurant tucked away in Angler Court Marlow. Serving Vietnamese food “prepared in traditional Vietnamese home-cook style” we have been impressed with every visit. The setting is great, food is really good – fresh, fragrant, packed with taste. To top it all off, the owners Nhan and Nhung are a really lovely friendly couple! Highly recommend a visit – oh, and they do take-aways too. If the name sounds familiar, yes – this is is under the same ownership as the famous Ivy restaurant in London, but is a more relaxed affair albeit retaining the sophistication you might expect from the name. Offers all-day family dining for breakfast, weekend brunch, lunch, afternoon tea, and dinner. We love the sophisticated interior styling, and when the weather suits we will always opt for the gorgeous garden which is a real oasis at the heart of Marlow. Always high on the list of places we recommend when asked! 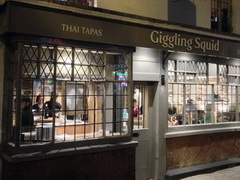 A popular and busy restaurant, with a menu focused on the “grill” aspect, but with other options for those not inclined to have a chink of meat. But.. if that’s your thing, the steaks never fail to impress. At a recent visit the menu included a “tomahawk” steak – a huge 800g beast served attached to the rib, slow cooked for 6 hours, and ideal to share. Stylish setting with a small bar at the front for cocktails and aperitifs. There is also an all weather terrace at the back, allowing guests to dine alfresco, rain or shine with a retractable roof! 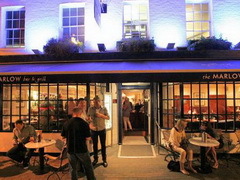 The latest addition to Marlow High St is a large, upmarket, and over 21s bar. An impressive interior design, but prices are not exorbitant at all. We were impressed by the food during our review visit, read the details here. In their own words:An over 21’s venue where our aim is to bring you great food and a carefully selected range of drinks with attentive, friendly service that is far from the ordinary. We know that there are few who can match our attention to detail, delivering consistent quality throughout, in a grown up atmosphere that seamlessly adjusts to the pace of your day. A large and pretty special restaurant. Housed in a historic inn dating back centuries, the food is mostly French in influence. Food and wine are fantastic, as is the service. A great place to go for a special occasion. One nice touch was the ‘graphic’ display of specials shown as we sipped aperitifs in the bar – we were shown plates of raw and fresh ingredients and had explained the various ways we could have them cooked! Wow. 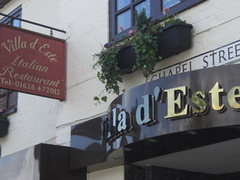 Lovely Italian food in superb setting – a converted barn, right in the town centre! 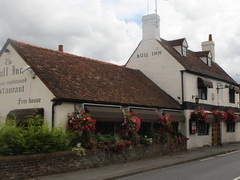 We have always received a genuinely warm and friendly welcome, and enjoyed the food. Thoroughly recommended. 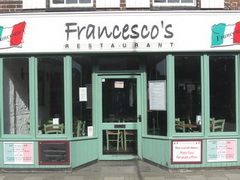 In their own words:A friendly restaurant featuring good authentic Italian food in a comfortable, modern surroundings. 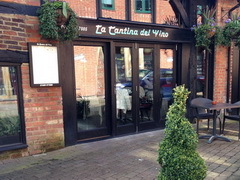 La Cantina Del Vino offers alfresco dining in the warm summer months and a variety of eating experiences including seasonal dishes, home-made Italian favourites and the versatility of Italian style dining outside normal lunch and dinner hours. 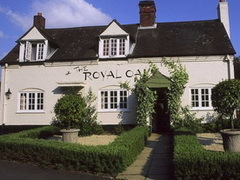 High quality, well presented food, attentive service and a great riverside location. 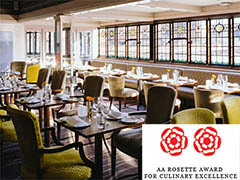 The main Bowaters restaurant is a 2 AA Rosette restaurant serving modern British food, with meals around 40 per head, for 3 courses excluding wine. They also serve lighter bites and snacks in the Lounge and the Cocktail Bar. Cote serves classic brasserie dining from breakfast through to lunch and dinner, daily. 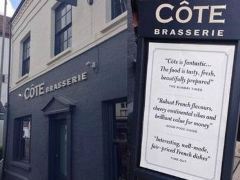 Inspired by new trends in Paris, award-winning Cote is dedicated to serving authentic dishes with a modern twist, using high quality produce at great prices. The weekday lunch and early evening menu provides outstanding value at 9.95 for two courses and 11.90 for three courses. 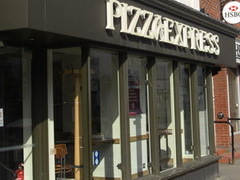 A long established takeaway that closed its town centre premises in 2012, but – THEY CAN STILL DELIVER TO YOUR HOUSE!! The food itself is of very high quality, delivery is usually very prompt. Their menu has some really interesting and tasty items in the “Recommended Dishes” section… but it’s all recommended really! 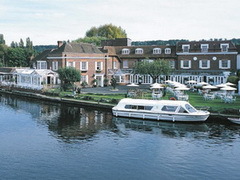 Everything said about the Compleat Angler food and restaurant service also applies here, and the setting of the Oak Room restaurant is very grand indeed. In fact, the service is unsurpassed, with waiting staff seemingly on permanent standby to attend your needs. The building itself is impressive, and so are the gardens leading to views across the Thames – providing an ideal spot for aperitifs. No problems with delivery of drinks, either! 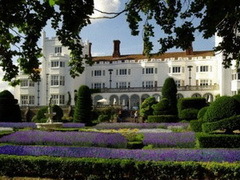 Also a great location for Afternoon Tea. Part of a local chain of pizza/pasta restaurants doubling up as a cafe during the day. There is a varied menu, and makes a change from the larger pizza chain restaurants in town. 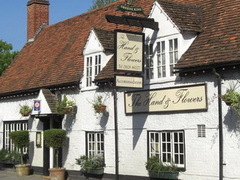 Owner Tom Kerridge has earned the Hand and Flowers TWO Michelin stars – lauded in the press as the only 2 star “gastro-pub” in the UK, though it really is much more restaurant than pub! 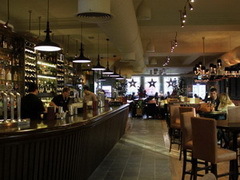 The atmosphere is very cosy – all low beams and candles. The food is simply delicious – I loved the duck and foie gras parfait on toasted brioche starter. Tom has won The Great British Menu TV show 2 years in a row, and both dishes are on the menu here. The 2011 Winner ‘Hog Roast’ really has to be seen to be believed, and tasted – spectacular stuff. 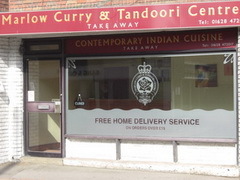 A quite upmarket Indian Restaurant, which also does take-away. Service has been friendly on our visits, and when turning up for take-aways. 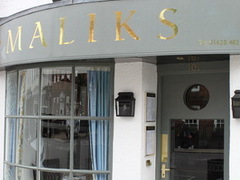 The food is as good as any other Indian food on offer in Marlow, although different in style. Amongst my friends there is disagreement over which is the best – so it just comes down to personal taste. I’ve not been disappointed with any meal in any of Marlow’s Indian restaurants! Part of a large chain of over 160 restaurants. As you might expect, there is a wide range of pizzas and pastas, plus a limited number of meat+side dish meals. I prefer the “VIPizza”, which has a larger, thin and crispy base with space for more toppings! 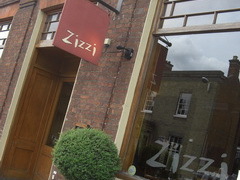 If you have been to another Prezzo – you know what to expect – but it is decent, good value stuff! In their own words:Sindhu by Atul Kochhar is the latest venture by the Michelin-starred chef that offers diners the very best of traditional Indian cuisine in a contemporary manner. Atul’s menus are inspired by his love of traditional Indian cuisine combined with his dedication to using only the finest British ingredients. The result is an innovative and unique style of authentic modern Indian cuisine offering a selection of deliciously distinctive creations. Our testing menu offers diners an exquisite selection of perfectly chosen courses which have each been created by Head Chef Gopal Krishnan. 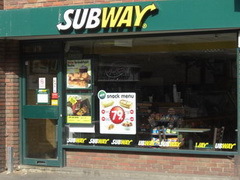 A Subway… just like all the others – you probably know what to expect. Home of the foot-long roll! 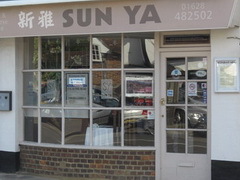 Marlow’s only Chinese restaurant, following the closure of the Jasmine in 2010. Quite a small restaurant, but the quality of food is good, and the do a great takeaway. Menus are available on the website. An upmarket Indian restaurant, which serves some great curries. Have a look at the menu on the website. 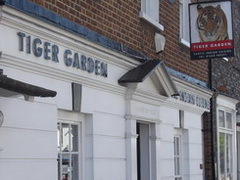 A Marlow institution for some 25 years, with a loyal local following. The food is Italian, but proper dishes, not a pizza in sight! There is always an extensive list of specials, often as much choice as the main menu – to ensure some variety for those who visit regularly, as many do. Desserts come in the form of a trolley being wheeled to your table, and the choice is superb. I usually go for a trifle, delicious! 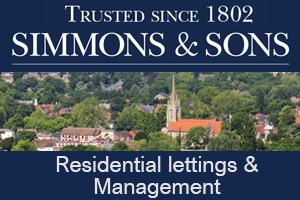 The staff are friendly and many have been there for years – and they contribute to a real atmosphere in the place. A deservedly popular restaurant. Stylish interior, with a small garden also. Offers a good range of pizza and pasta, in generous portions. Do decent salads too – the Superfood Salad manages to be healthy and filling! The main room can get noisy when busy – due to the acoustics caused by high ceilings I suspect. This would only be an issue if you wanted a quiet romantic meal perhaps.